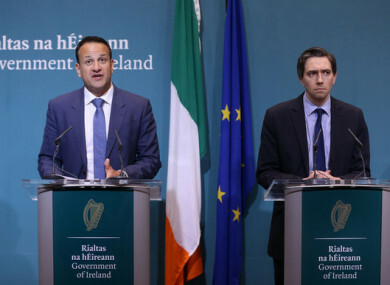 THE TAOISEACH AND Minister for Health are coming under pressure to explain why women affected by the Cervical Check scandal are still ending up in court. Fianna Fáil’s health spokesperson Stephen Donnelly said, “On 14 April, Minister Harris during a press conference promised that no woman affected by the scandal would have to go to court. Meanwhile, Labour Health spokesperson Alan Kelly said the Taoiseach “needs to come out of hiding” and address why women affected by the Cervical Check scandal are still ending up in court. It comes after terminally ill Ruth Morrissey brought her alleged misdiagnosis case to the High Court this week. In a statement Morrissey described mediation attempts last week as a ‘sham’. Kelly said, “What happened to Ruth Morrissey this week was a disgrace heaped upon a national disgrace. “The Taoiseach promised wholeheartedly in May that the state would take over the cases of all the women affected and take over the labs component of those cases if necessary in order to avoid these women having to enduring the spectre of having to appear in court and go through publicly their own private health details. The Minister for Health says he doesn’t want to see any case end up in court and that mediation is offered in each case. However in a statement Ruth and Paul Morrissey said they believe that the State “showed no interest whatsoever in resolving their case by mediation prior to the media focus on their ordeal in court this week”. Email “Taoiseach and Health Minister asked to explain why Cervical Check cases still ending up in court”. Feedback on “Taoiseach and Health Minister asked to explain why Cervical Check cases still ending up in court”.